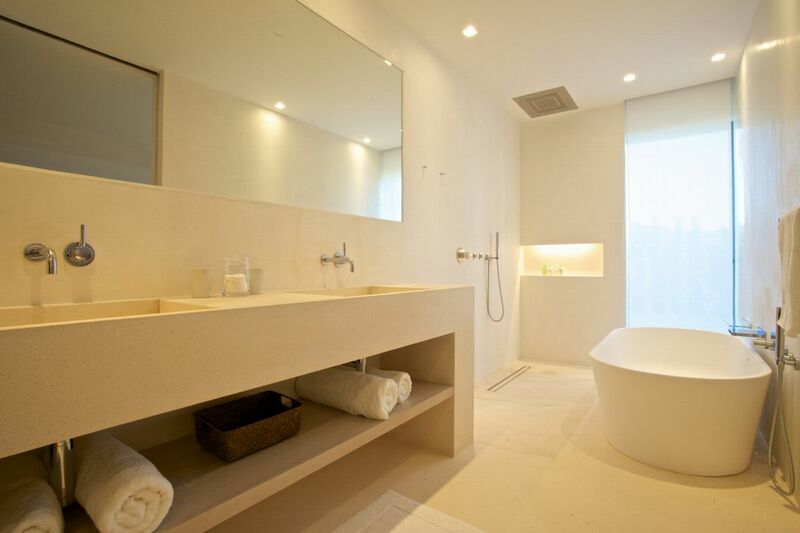 5 hours daily cleaning (excluding Sundays). 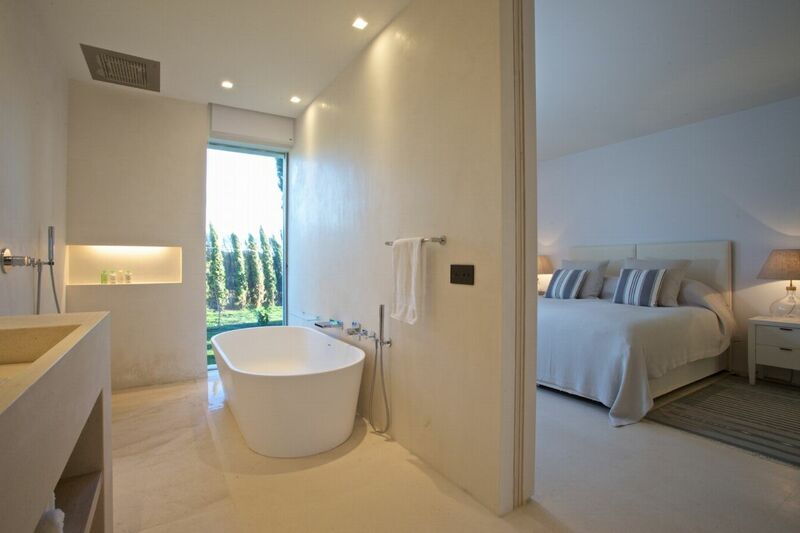 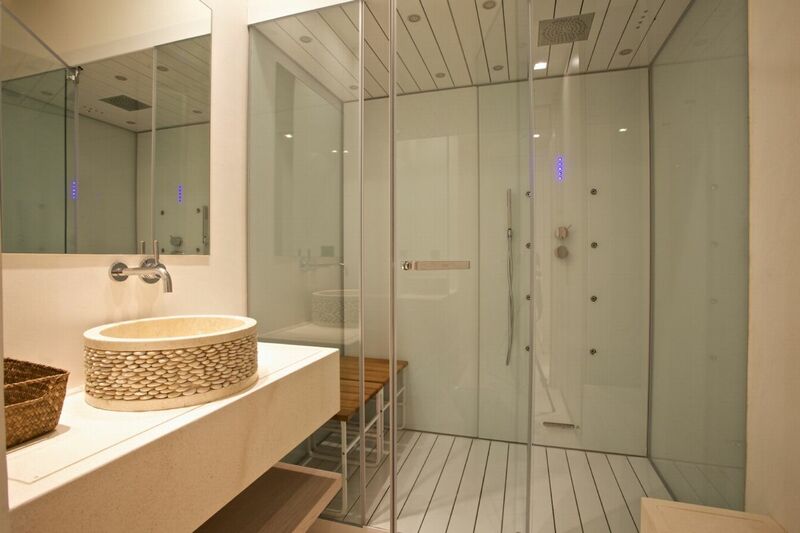 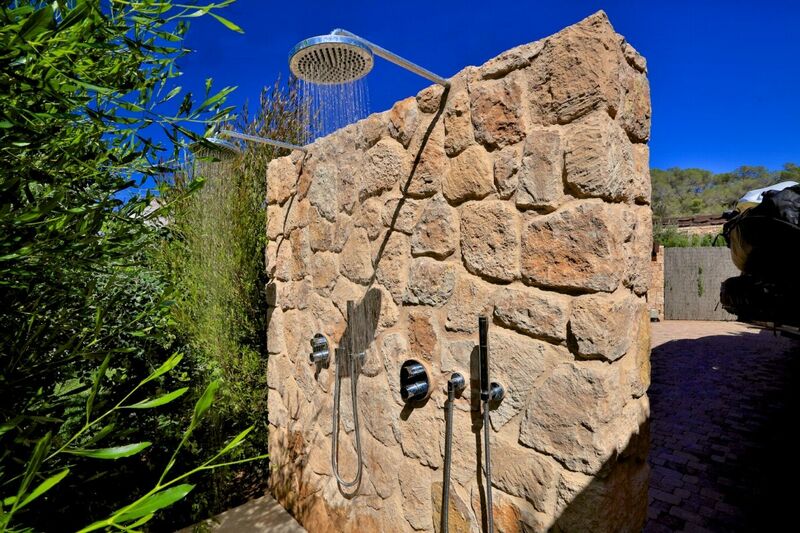 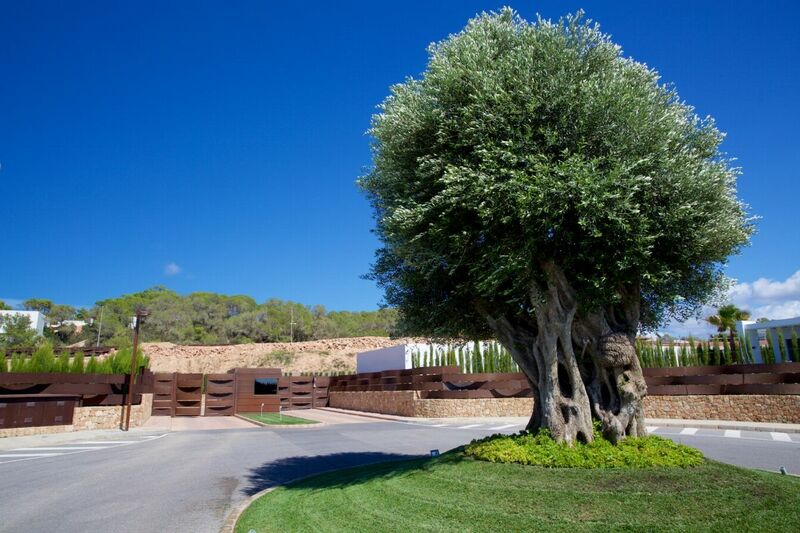 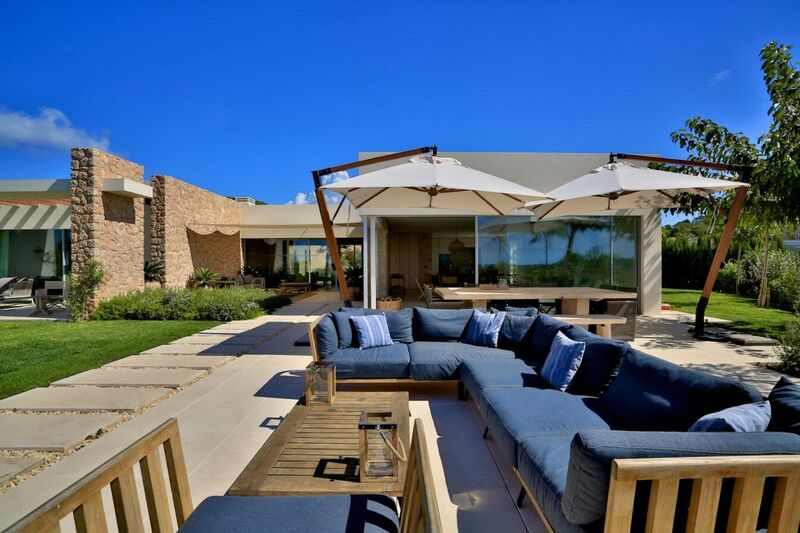 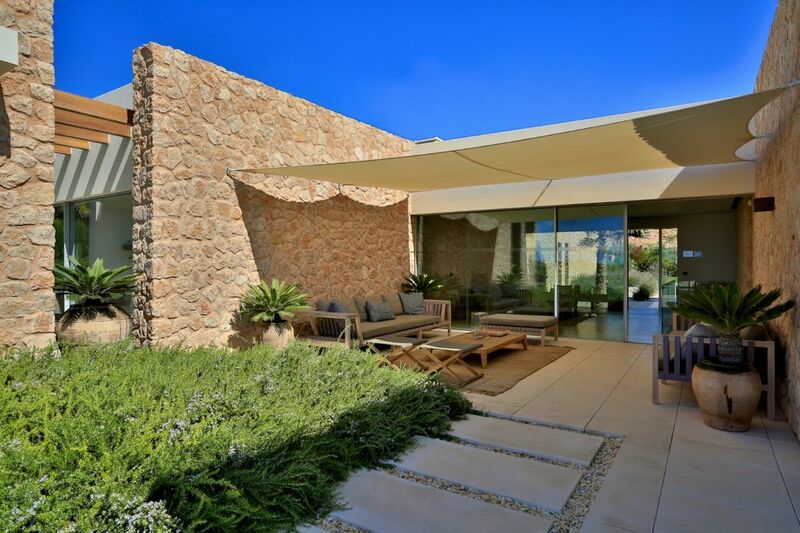 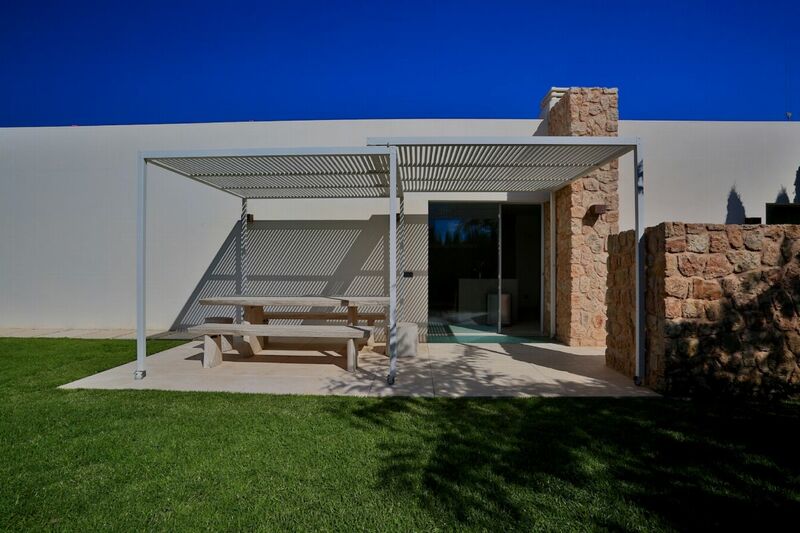 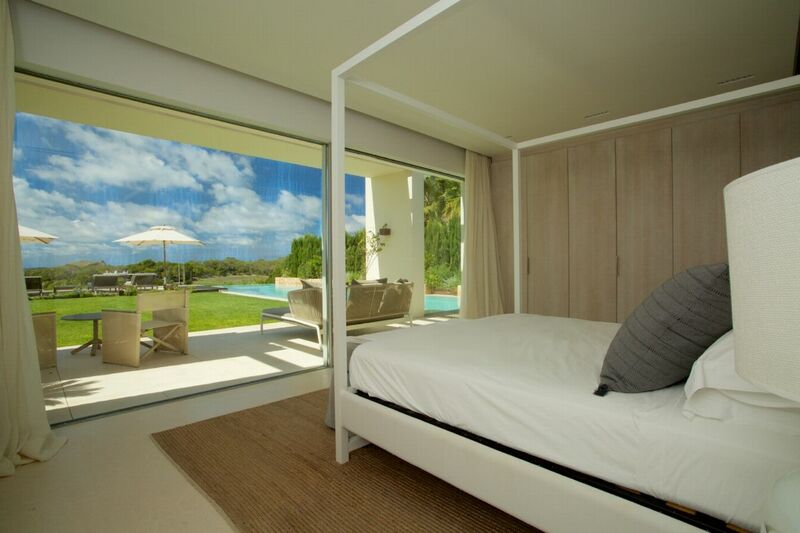 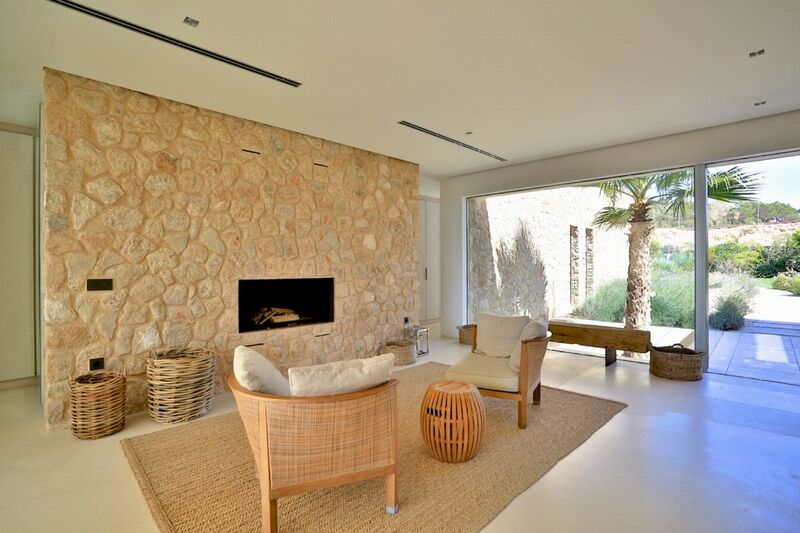 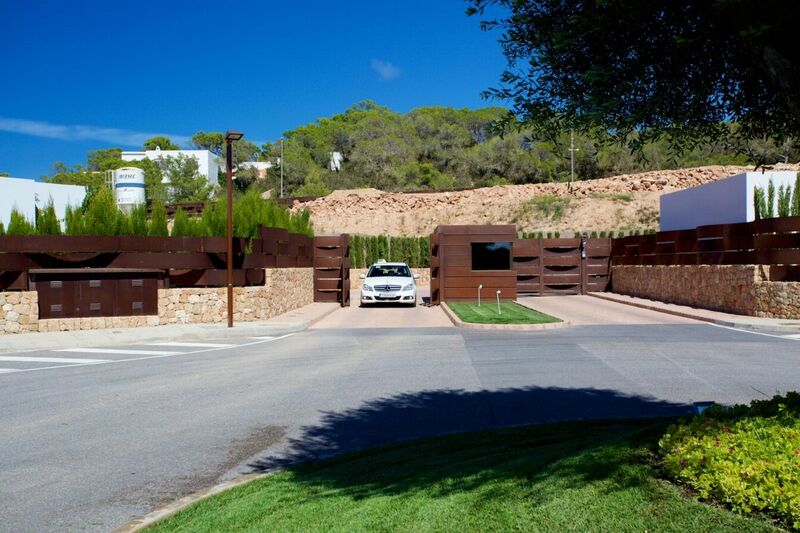 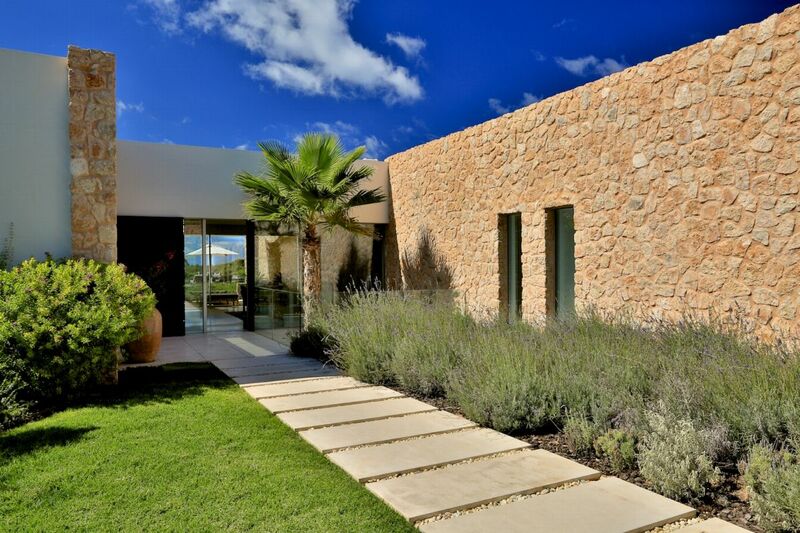 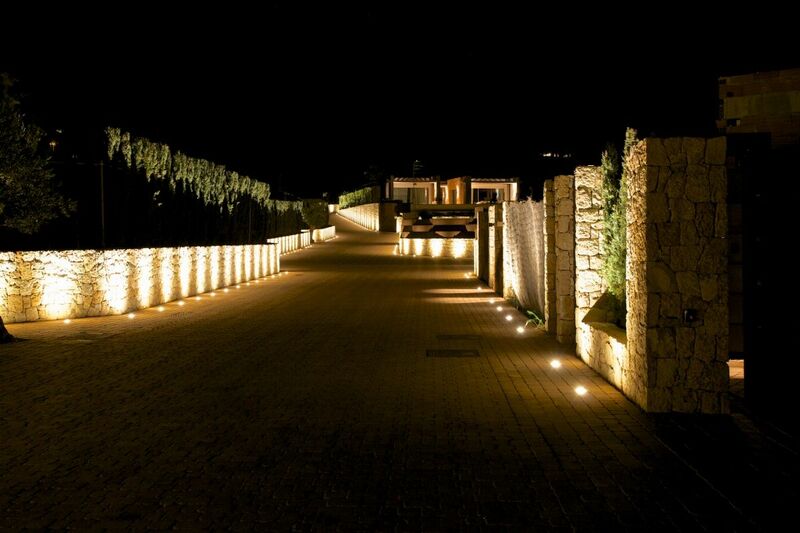 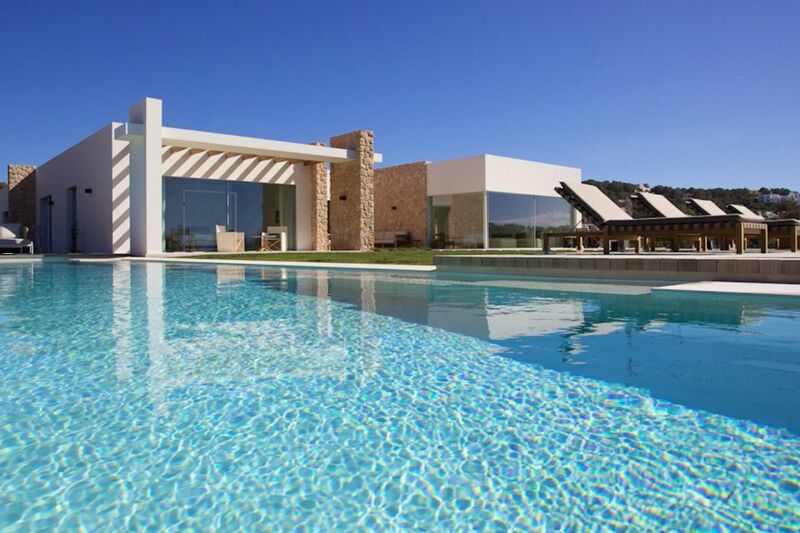 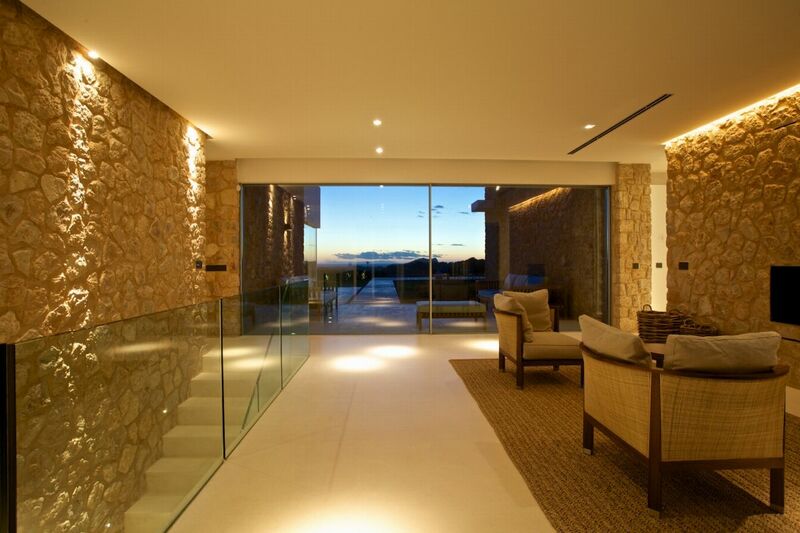 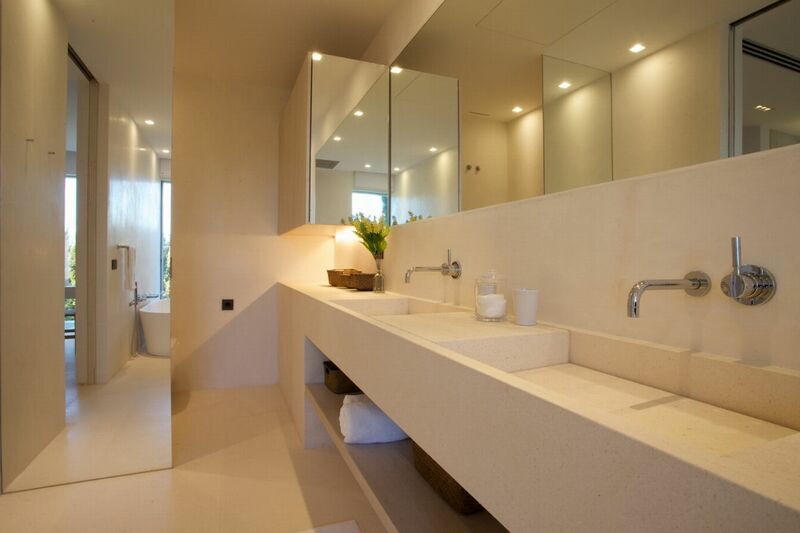 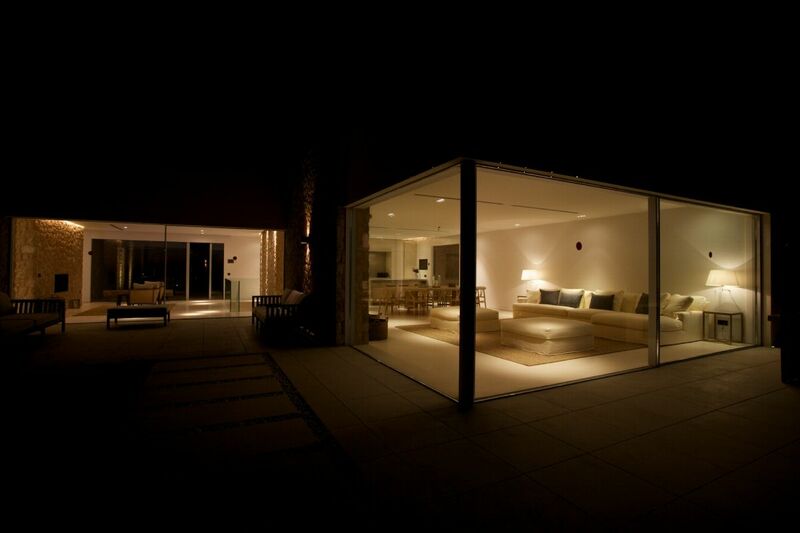 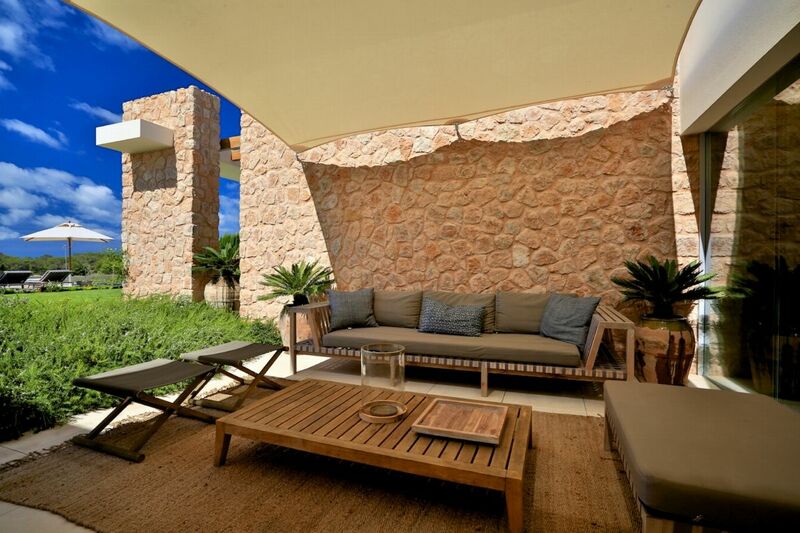 Modern style new build villa close to IbizaÂ´s most famous coastline. 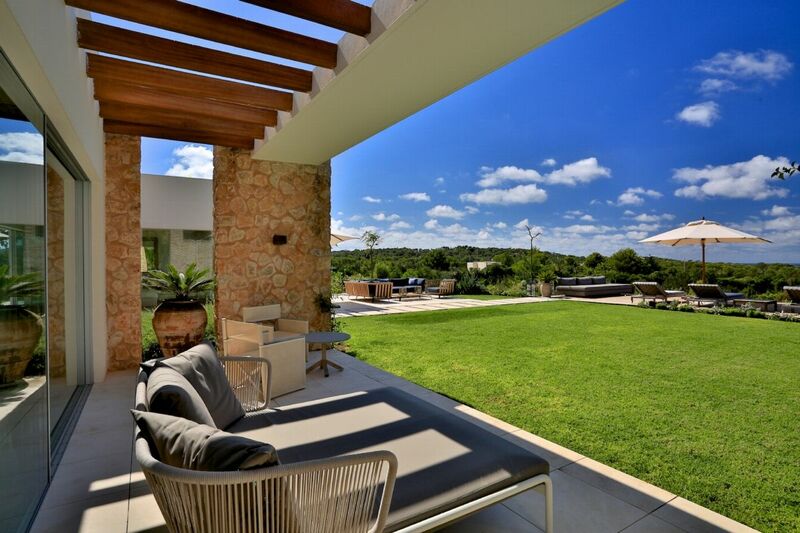 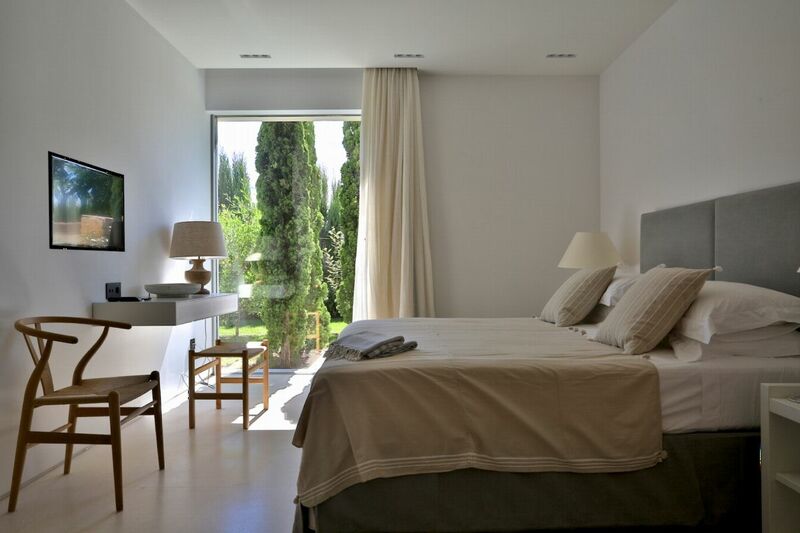 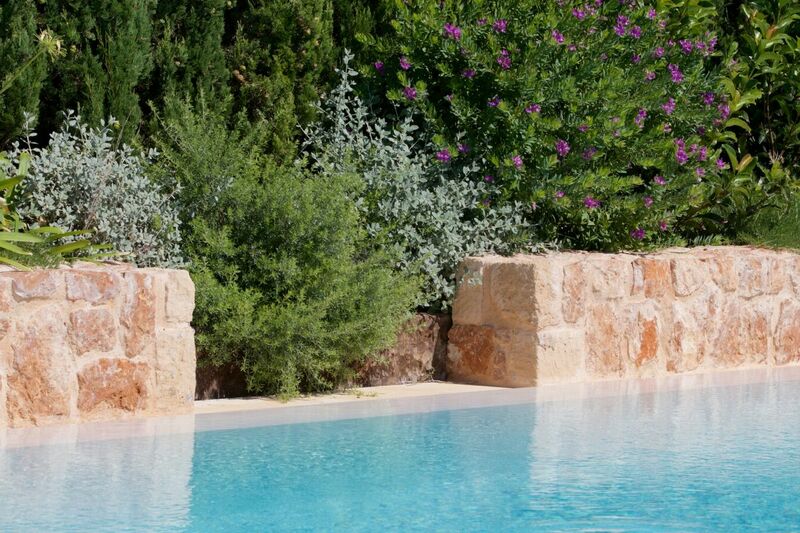 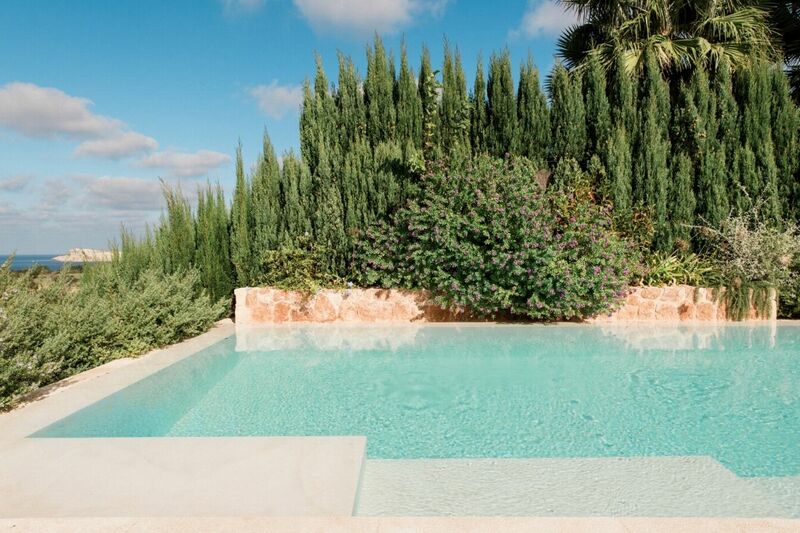 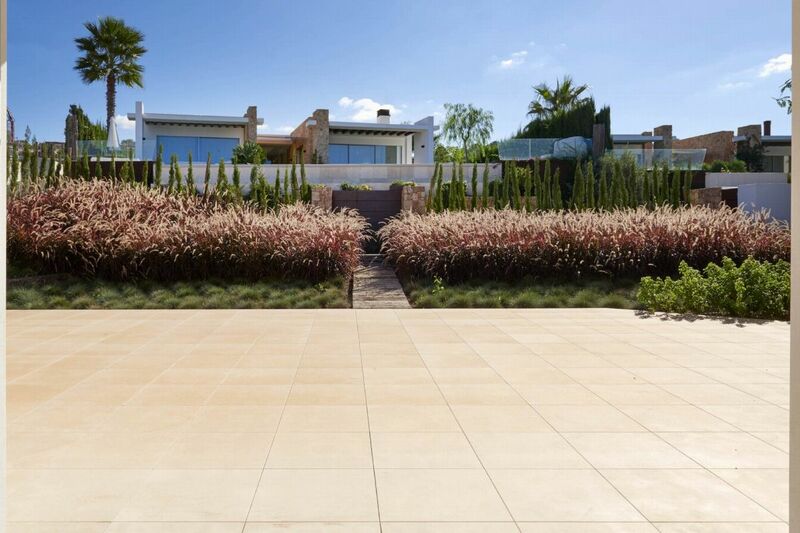 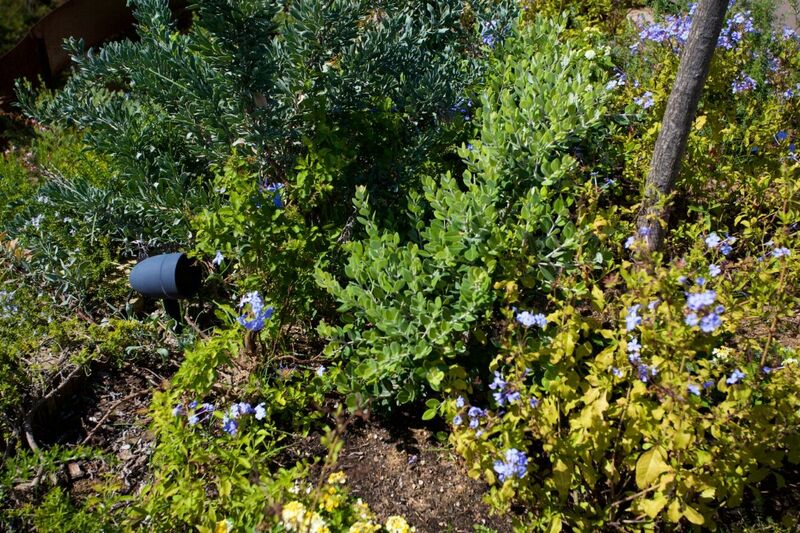 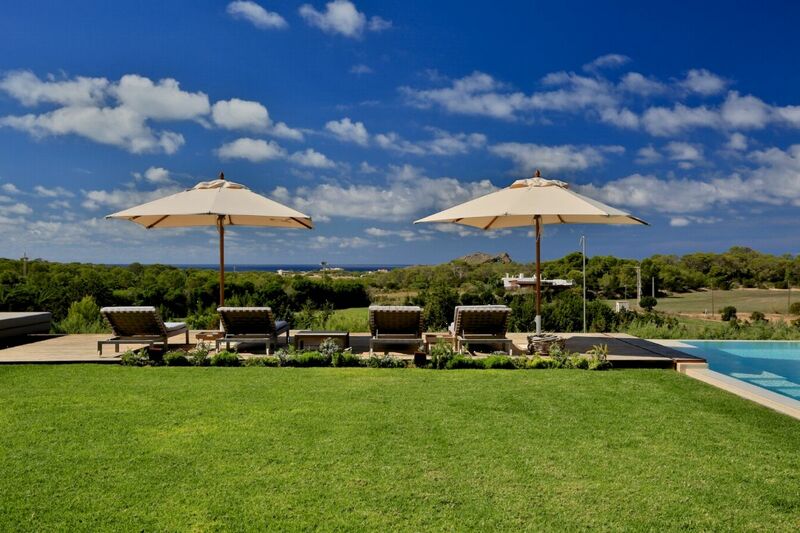 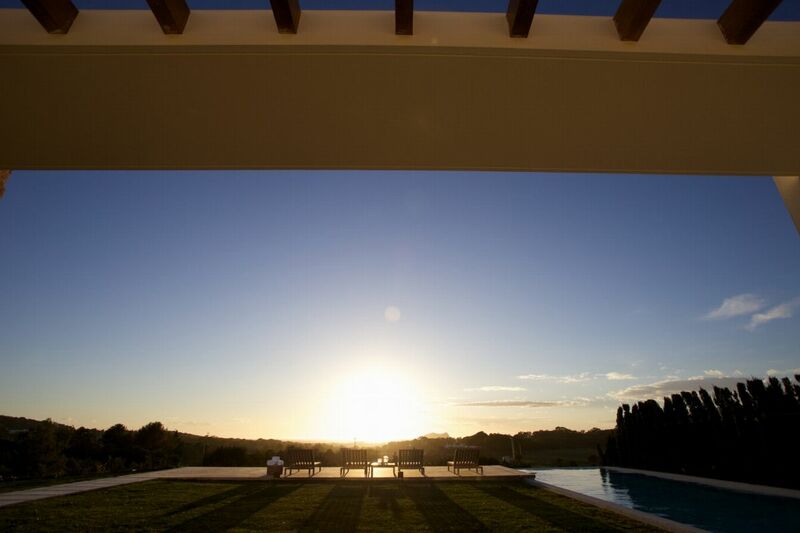 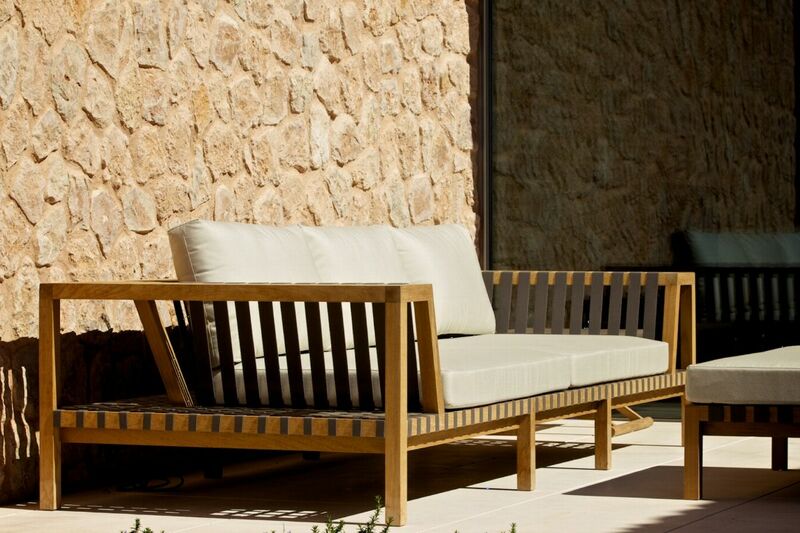 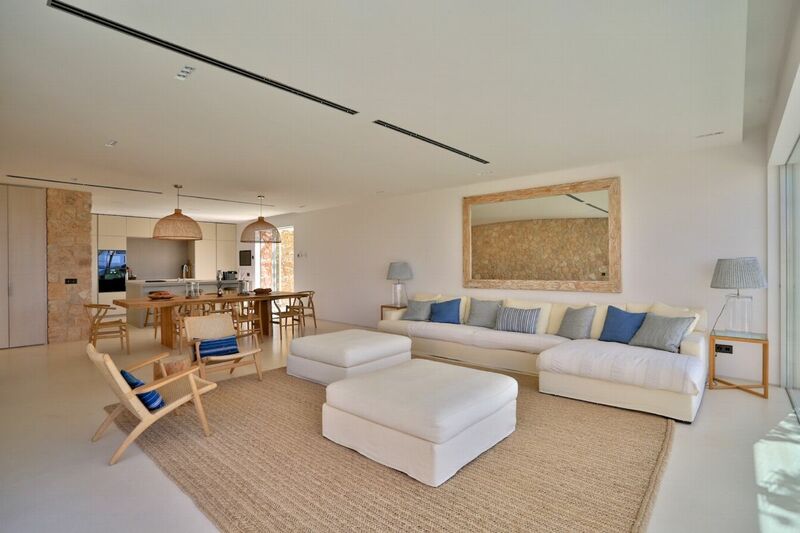 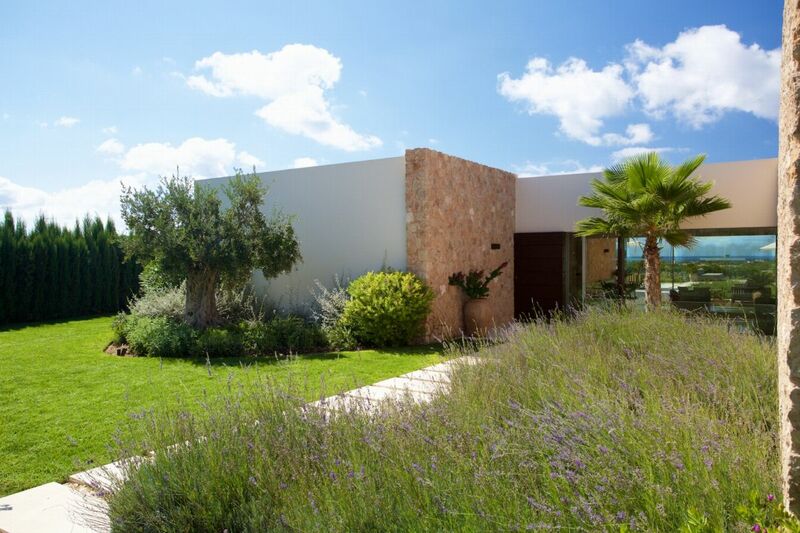 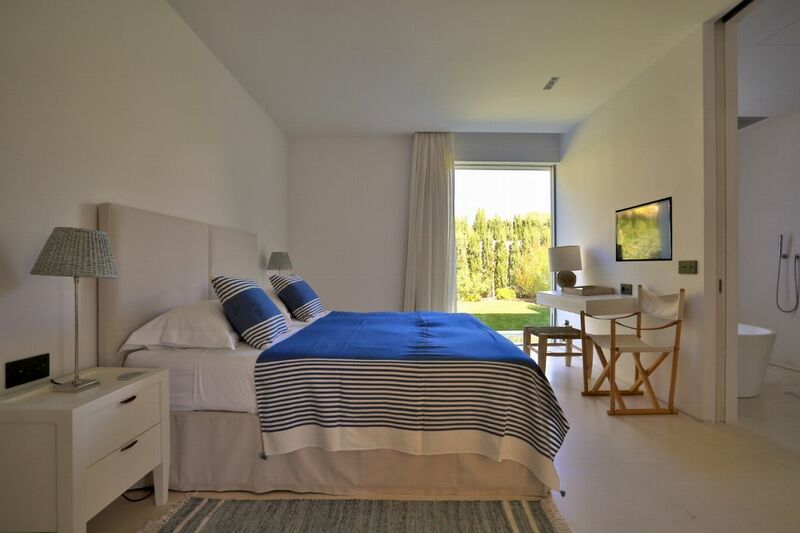 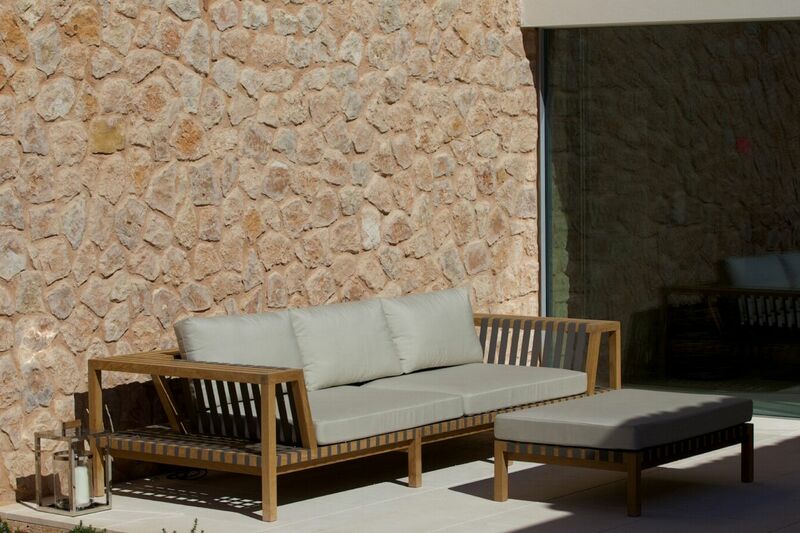 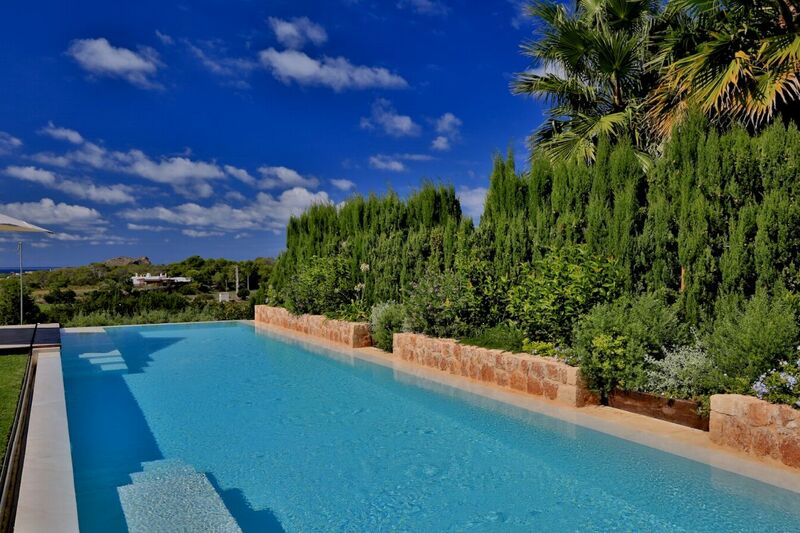 Stylish and spacious Ibizan villa with rambling gardens and beautiful sea views. 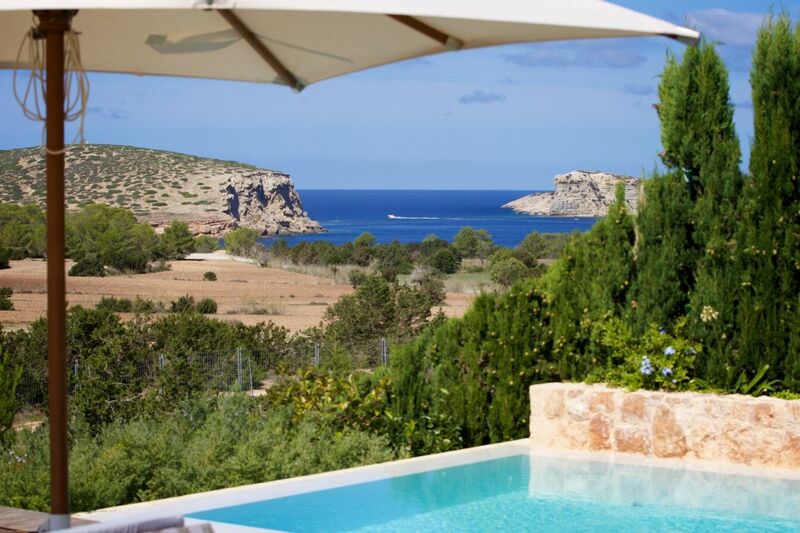 Just a few hundred metres from one of Ibizaâ€™s most idyllic sunset beaches, Cala Conta, this Ibiza holiday home sits in an exclusive, gated development in Cala Conta. 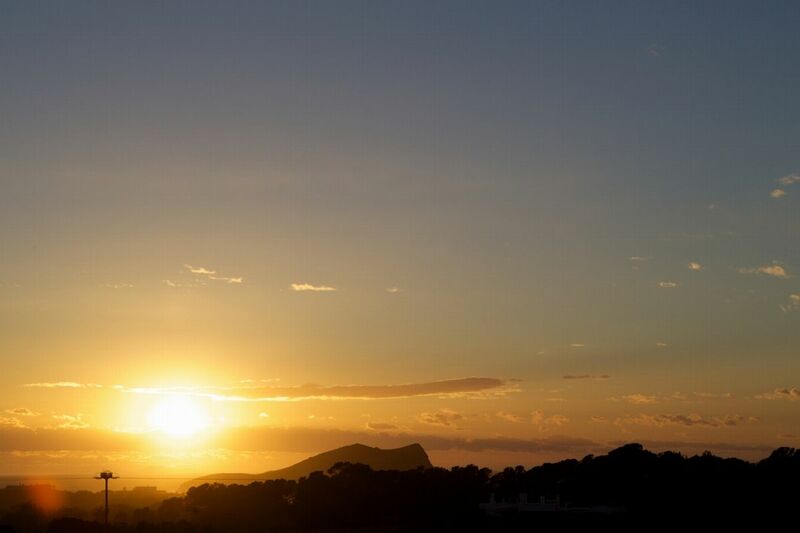 As well as its stunning sunsets, this stretch of Ibizan coastline is known for its soft sandy beaches and crystal-clear waters, perfect for diving and snorkelling. 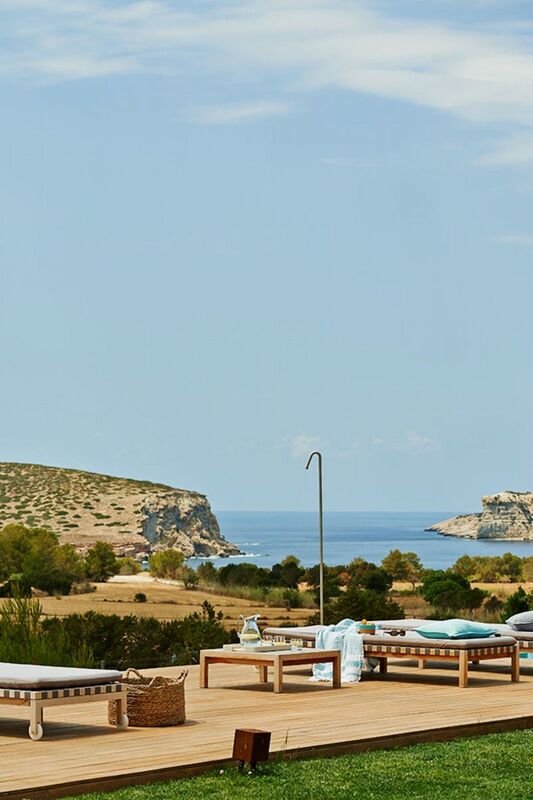 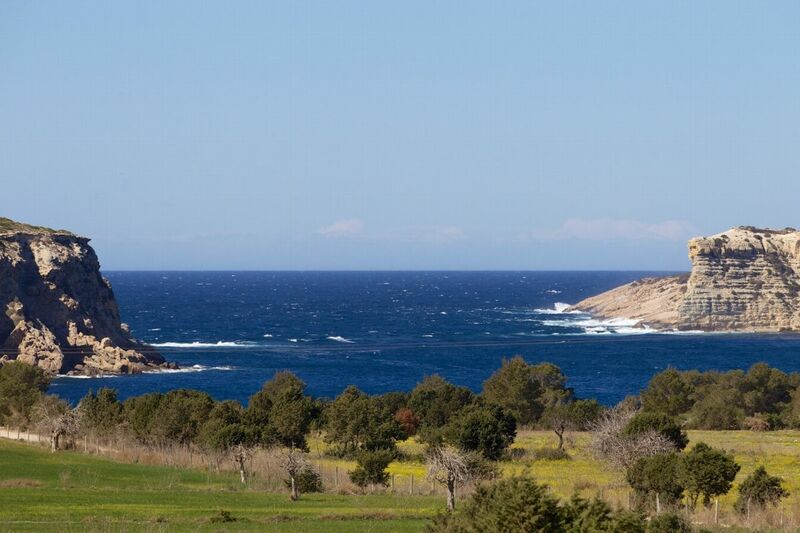 Cala Conta Dream enjoys an ideal location for enjoying Ibizaâ€™s famous sunsets and exploring the local coves and beaches. 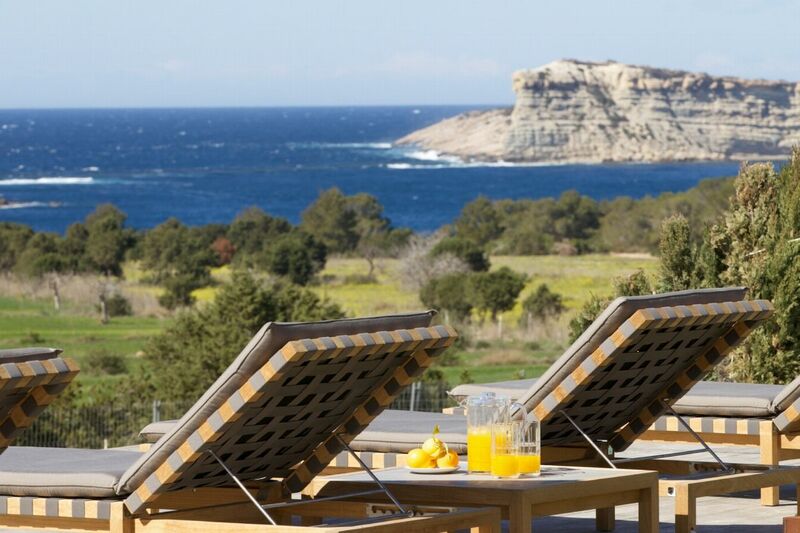 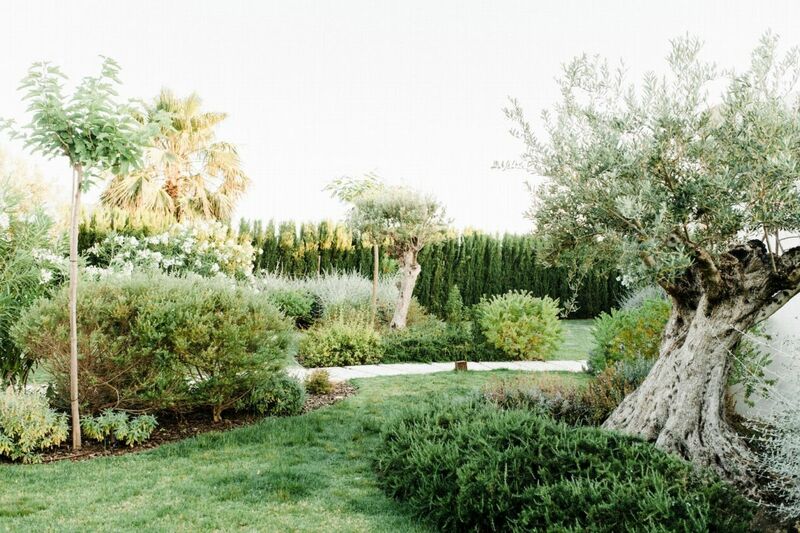 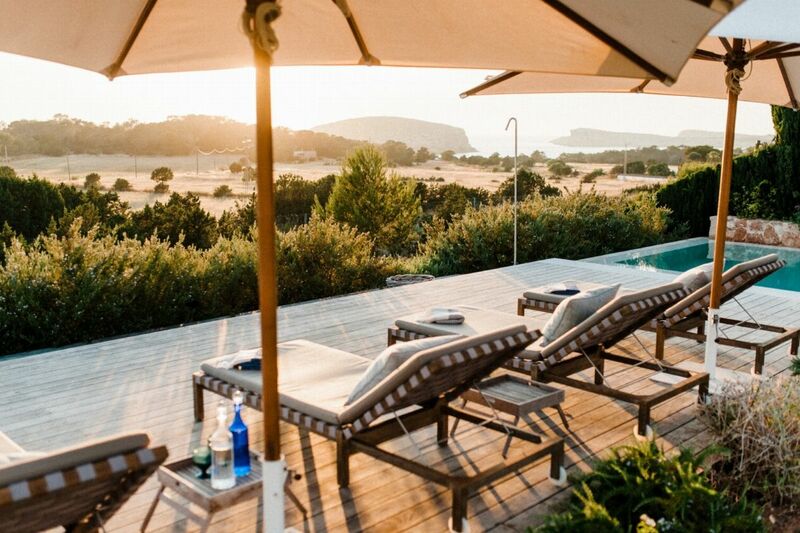 From the sun-drenched poolside terrace, there are panoramic views across fields to the sparkling Mediterranean Sea and the little islands of Illa des Bosc and Conejera. 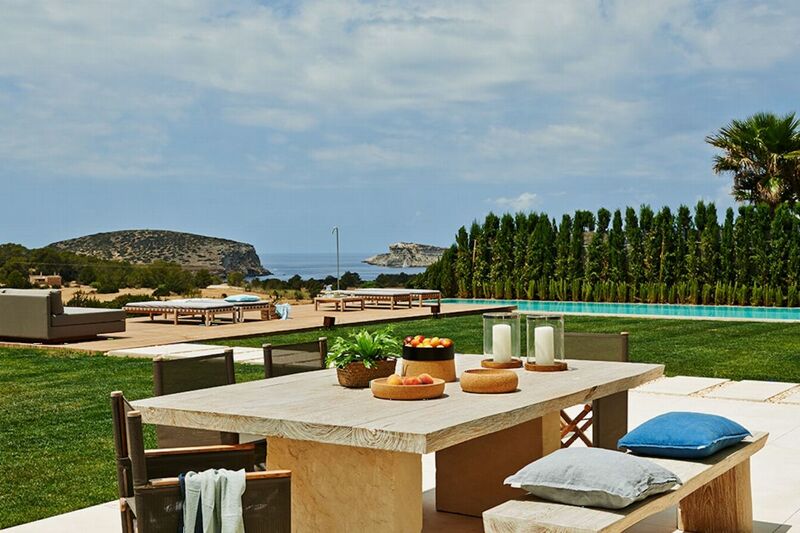 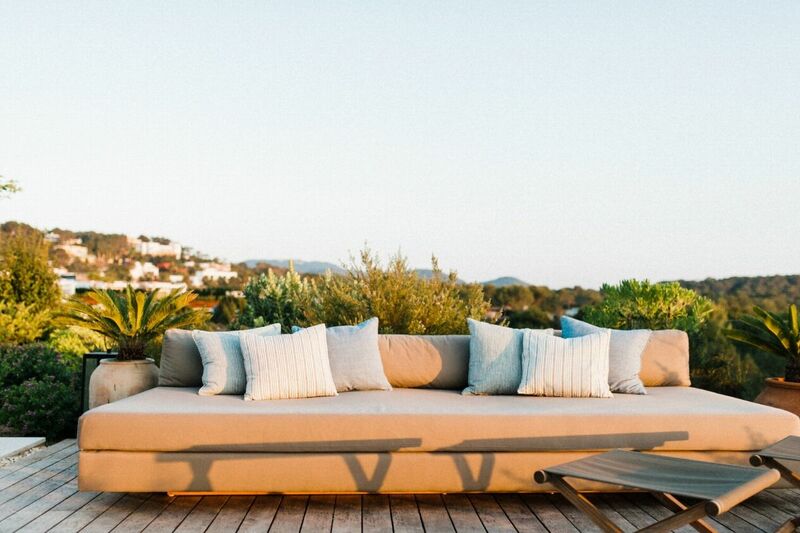 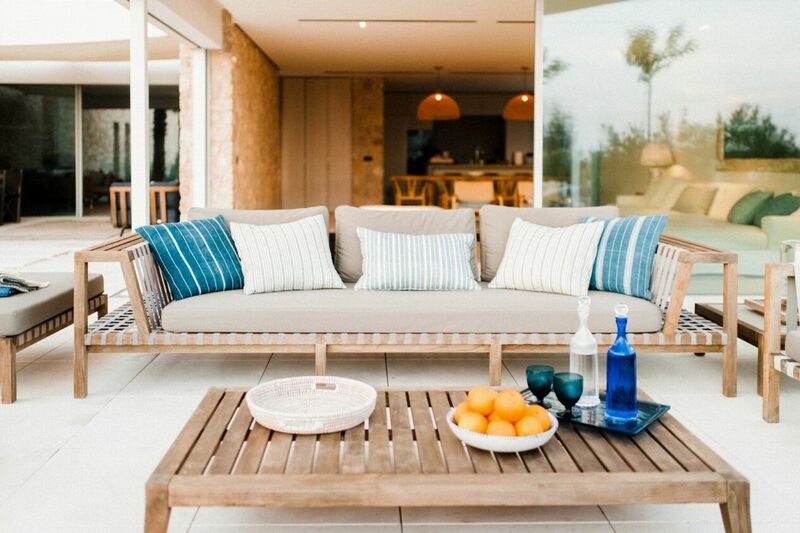 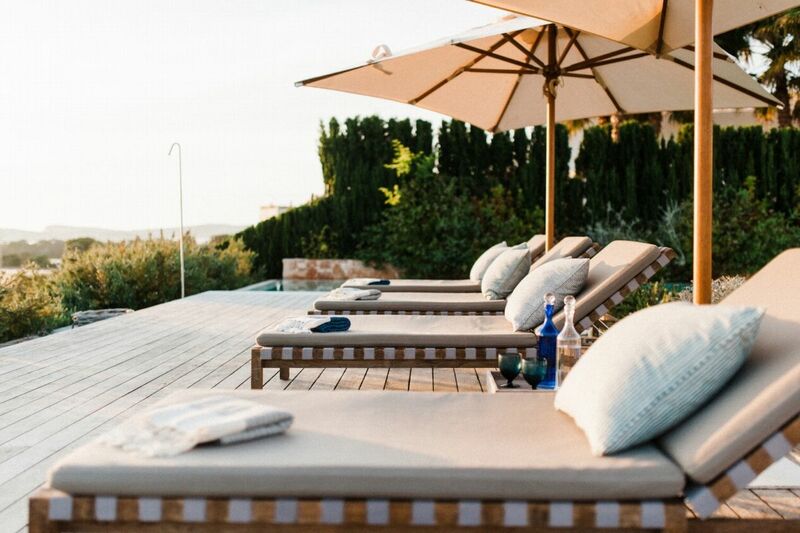 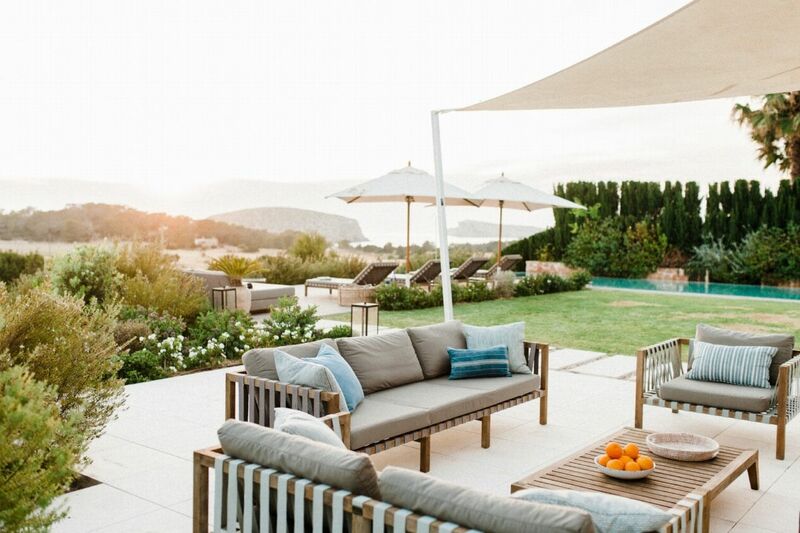 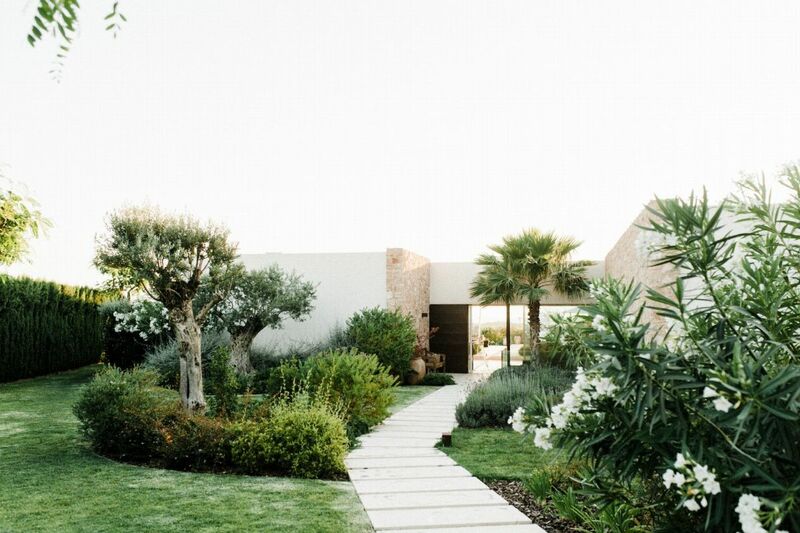 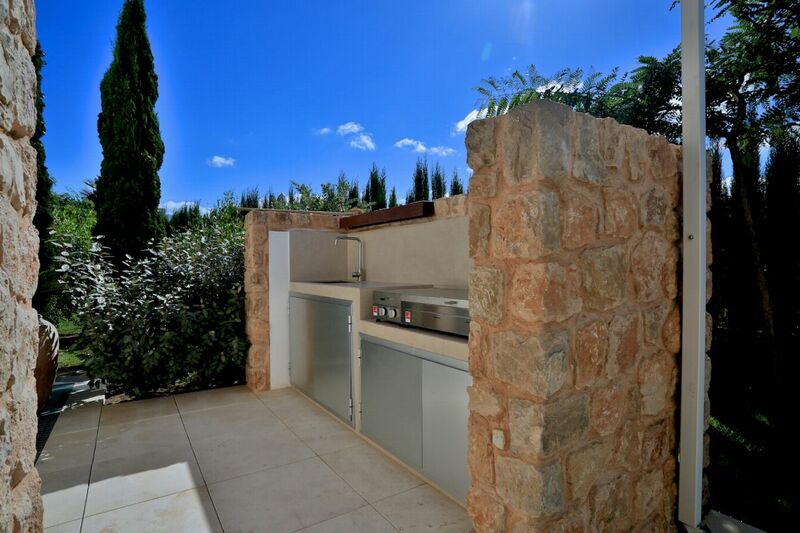 Amongst the manicured lawns and flower-filled gardens, youâ€™ll discover a myriad of spaces in which to chill out or soak up the glorious Ibizan sunshine, plus a summer kitchen with barbeque. 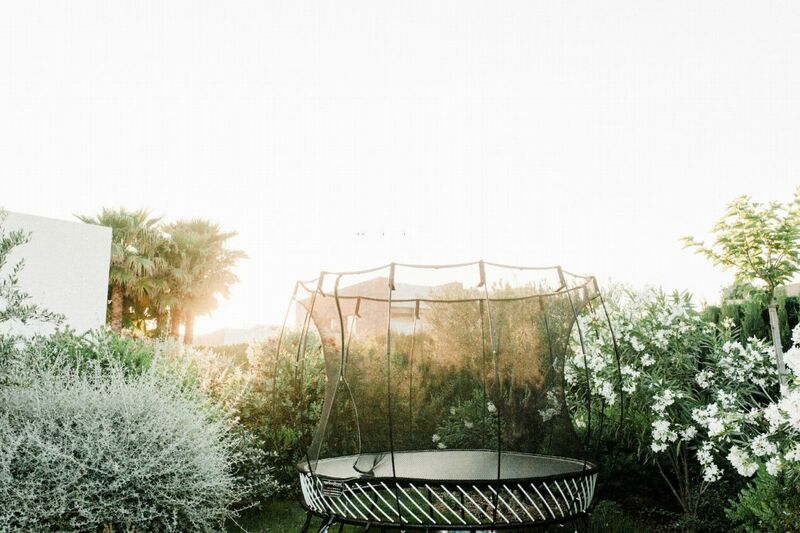 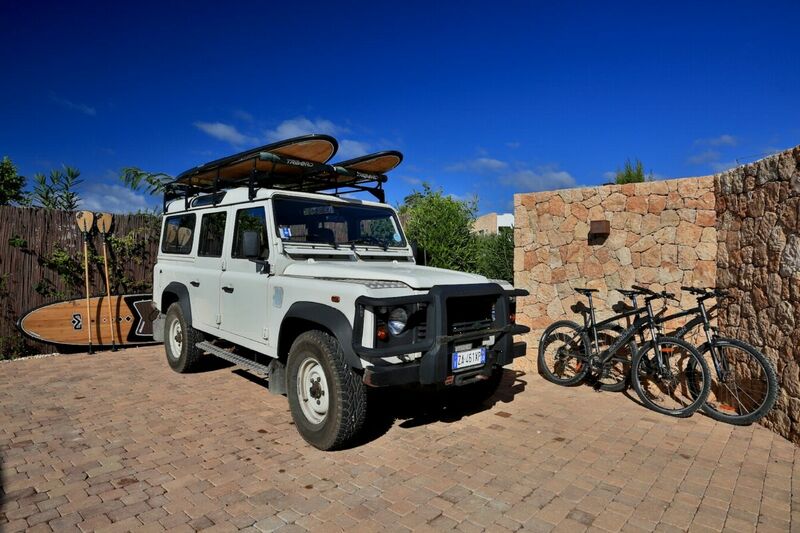 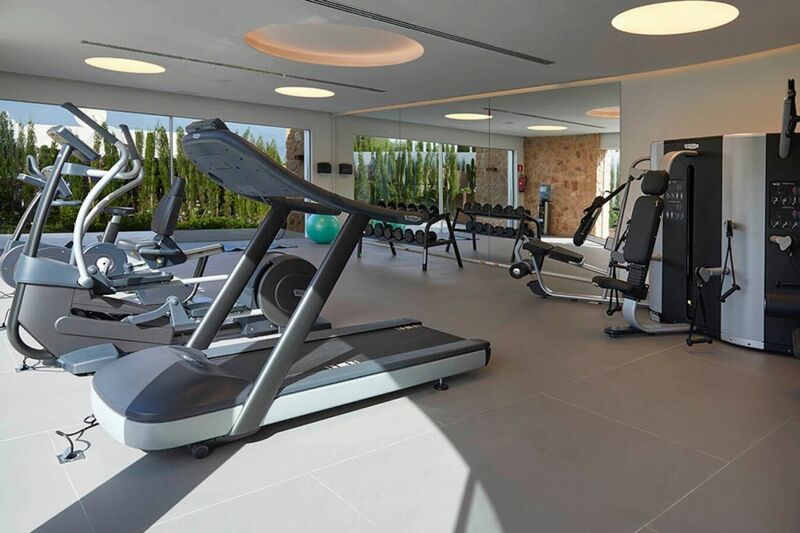 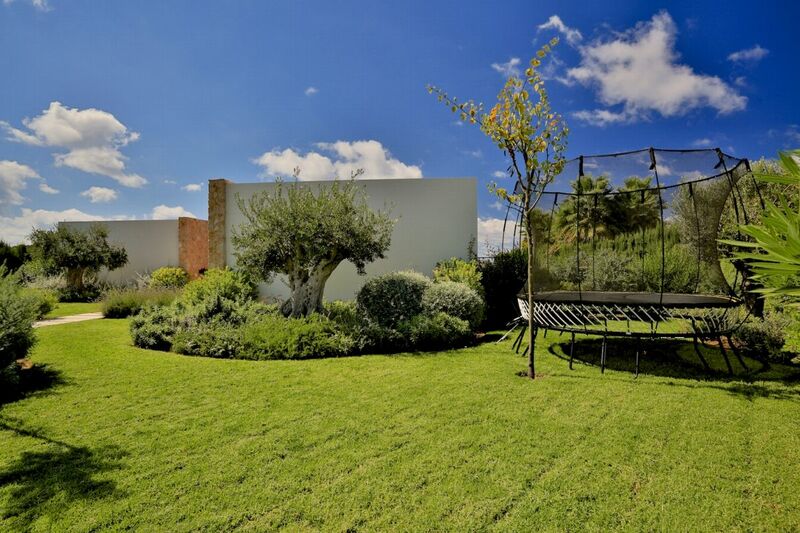 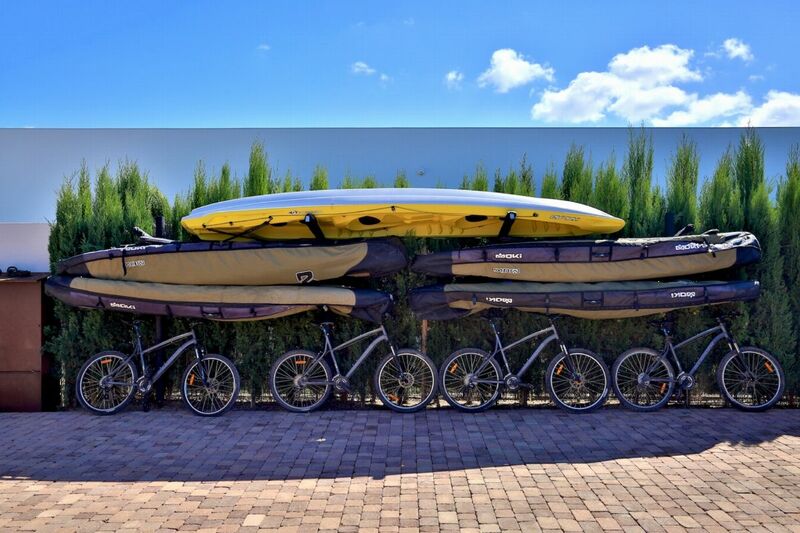 The kids will love the trampoline, and bikes, kayaks and stand-up paddleboards are also provided for guestsâ€™ use. 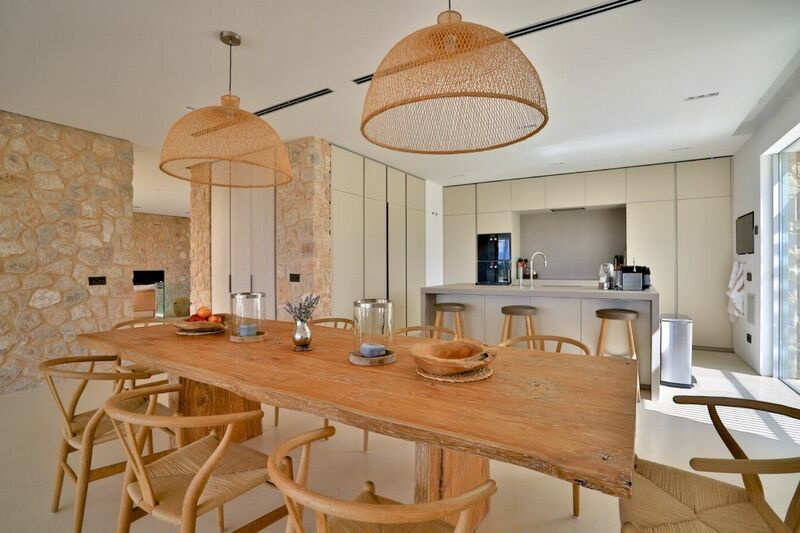 Inside, the polished floors, natural stone and bleached wood create a cool, calm living space; from the sleek kitchen, rustic dining table, relaxed sofa seating and open fireplace, this home is built for laid-back entertaining. 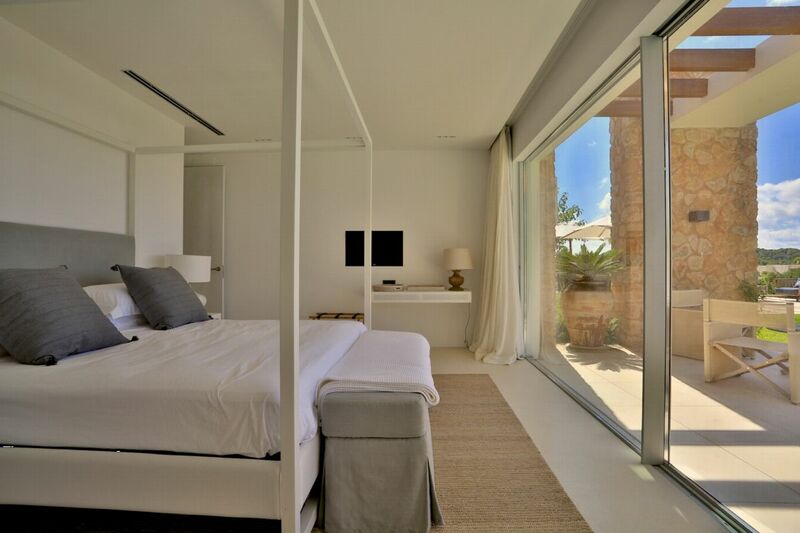 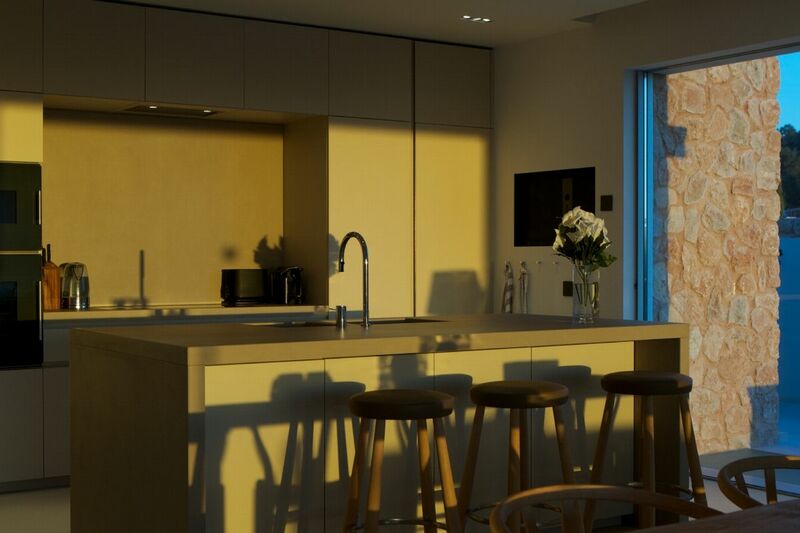 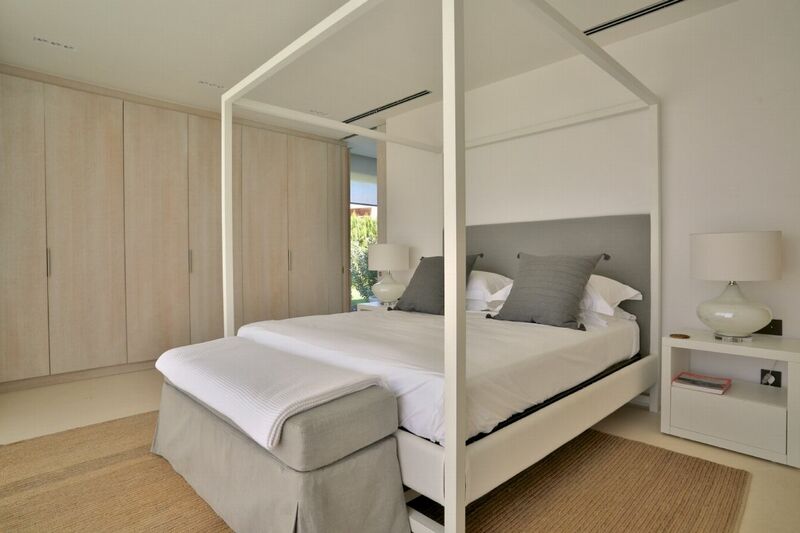 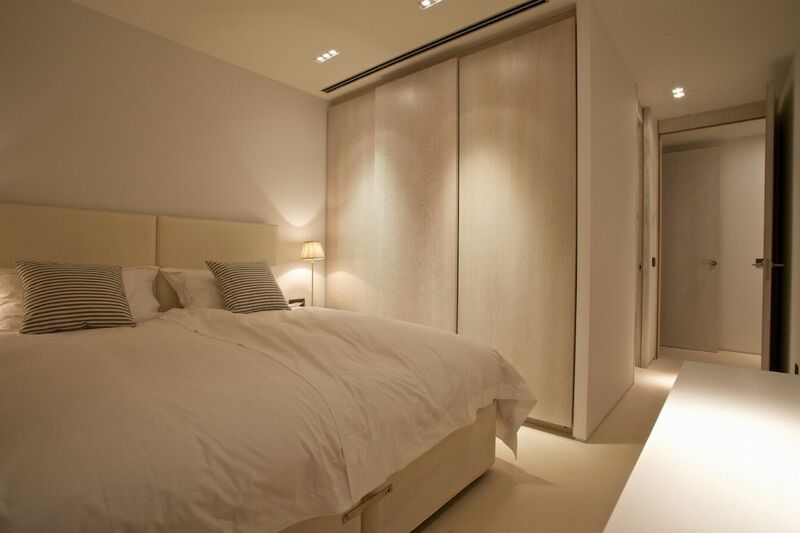 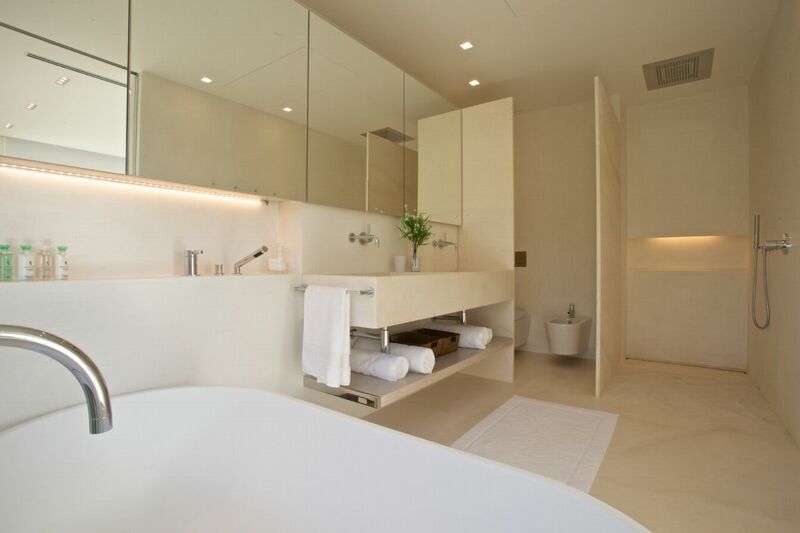 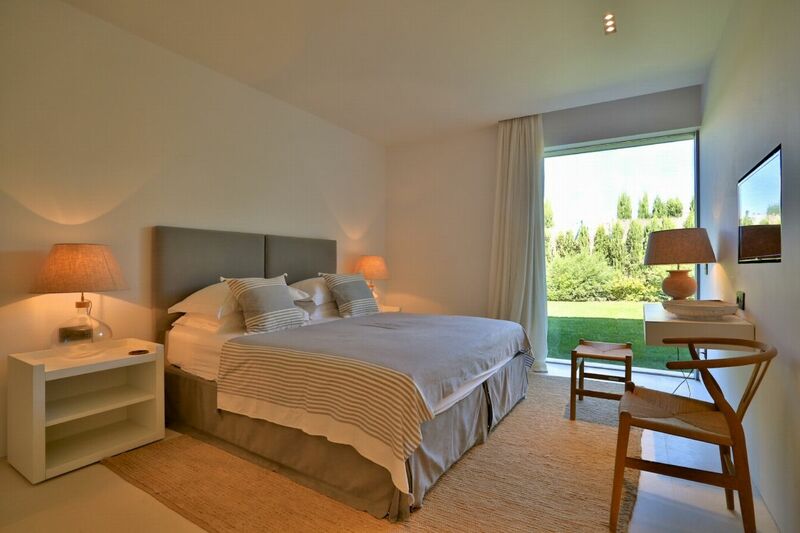 The same cool, crisp style continues through the five double bedrooms, each of which has a large, en-suite bathroom and access onto the terrace or garden. 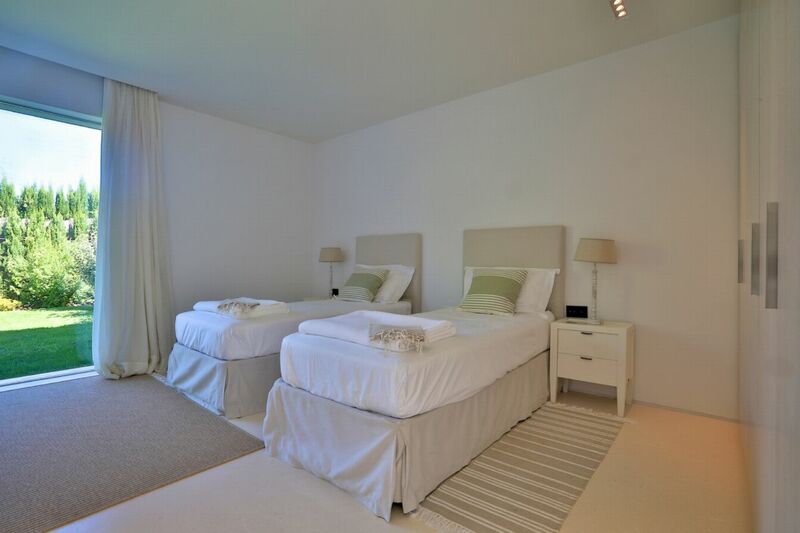 Four of the doubles can be split into a pair of twin beds for versatile guest accommodation. 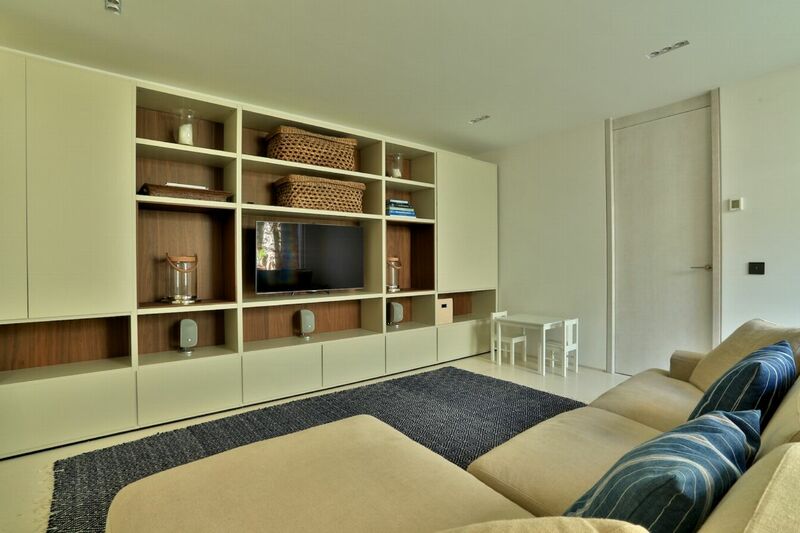 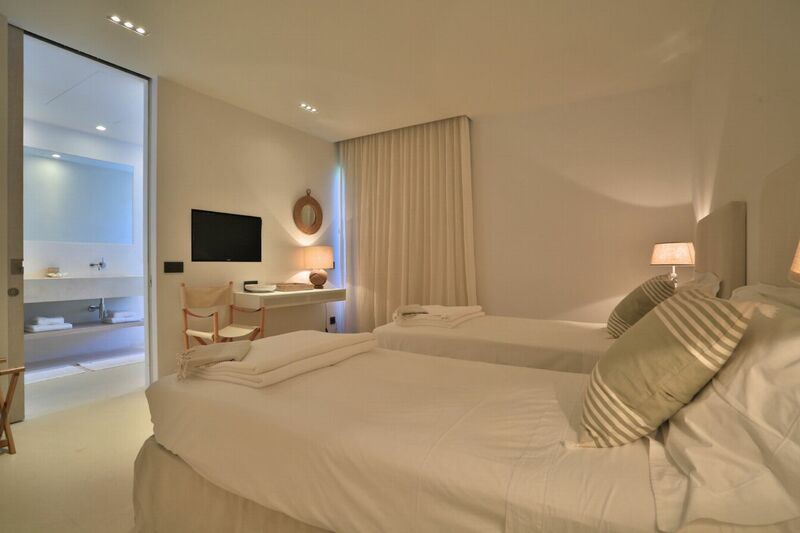 The lower floor is home to a large cinema room and laundry facilities.